Lady Justice may be blind, but it’s hard not to wish that she sported a more fabulous ensemble every once in a while. 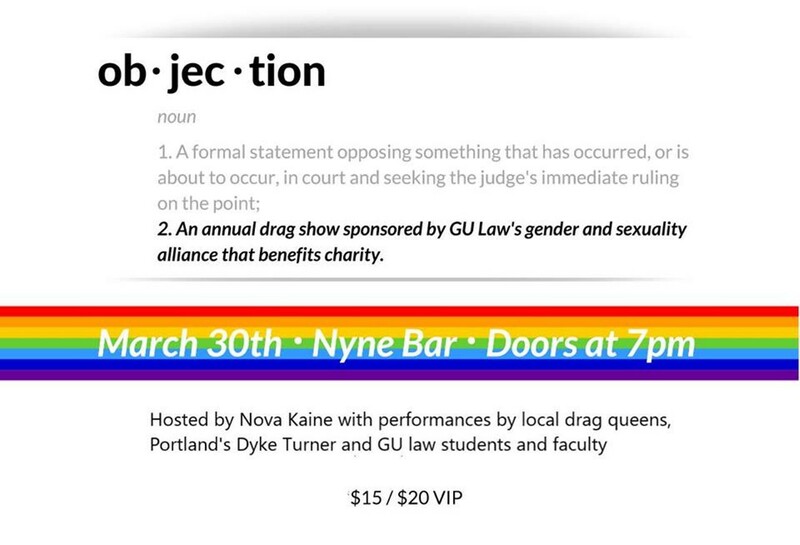 Fear not, then: Gonzaga University and the law school’s gender and sexuality alliance are throwing a Saturday night drag showcase that benefits the Odyssey Youth Movement, a local organization that provides resources and social programs for young LGBTQ+ people. The event is being hosted by Nova Kaine, who should be well known to anybody with even a passing familiarity to Spokane’s drag scene, and will feature performances from local queens and a student drag competition that’s Disney themed.